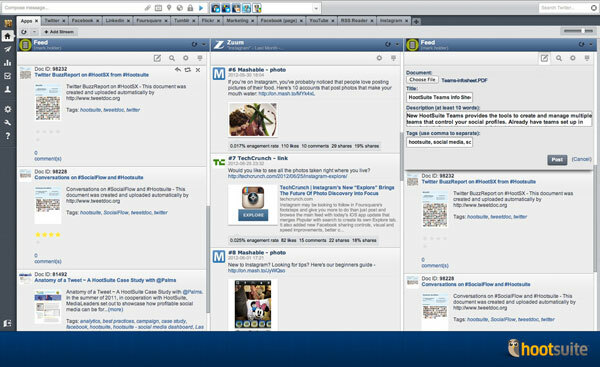 The HootSuite App Directory continues to expand with 4 new app integrations. Photo sharing app Instagram, content sharing network SlideShare, document sharing app edocr and engagement app Zuum join HootSuite’s roster of social content apps adding new streams and capabilities to the dashboard. Free for all 4 million HootSuite users, see how these new dashboard streams can help enrich the content that matters to you. Share, search, monitor, engage, optimize and enjoy! Instagram is THE free photo sharing application for iPhone and Android. Initially launched in October 2010 and now boasting 50 million users, its popularity and growth amongst mobile users has been overwhelming. 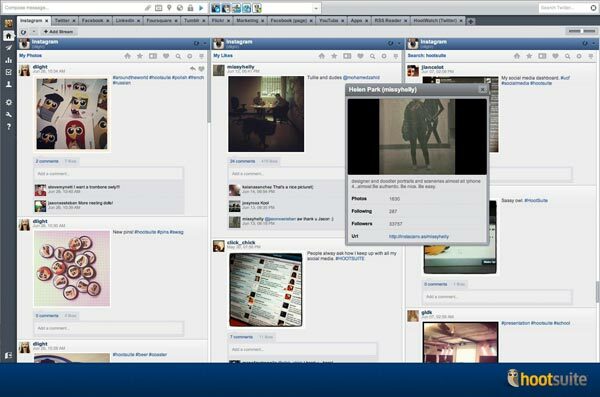 Instagram allows users to take photos, apply a filter and share via social networks, including Facebook, Twitter, Foursquare, Tumblr and Flickr. 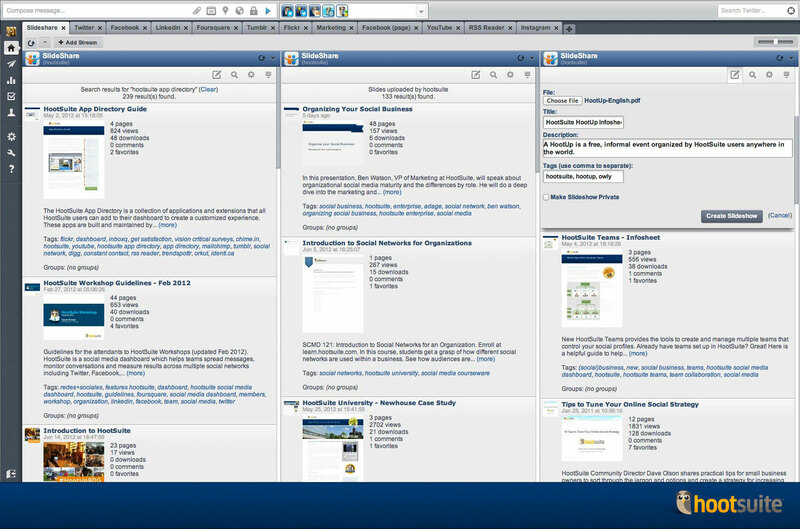 Did we mention all of these networks are included in the HootSuite dashboard? Make the most of your Instagram experience with the Instagram app for HootSuite. All from the dashboard – manage, share and explore with ease. 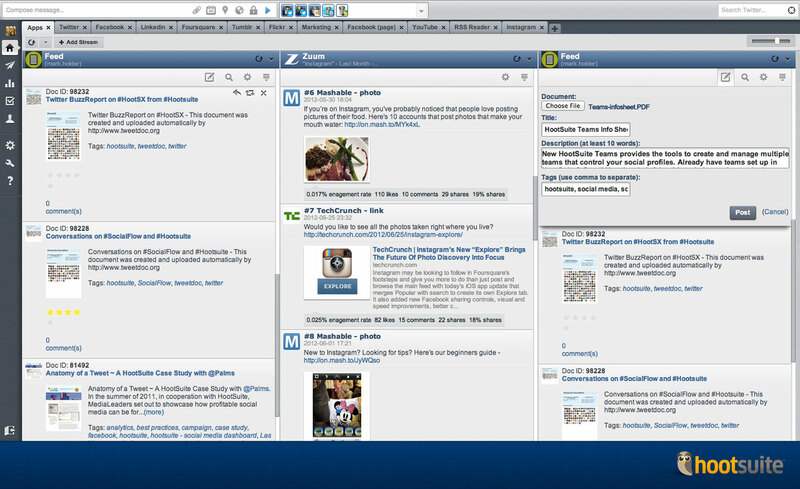 So what exactly makes the Instagram app for HootSuite so great? Ideal for professional and educational communities, SlideShare for HootSuite allows you to view, share, search for and upload SlideShare presentation, document, and video content. Contribute ideas, conduct research, connect with others and generate leads for business with PDFs, and webinars. The world’s largest community for sharing presentations, SlideShare sees 60 million monthly visitors and 130 million page views – making it one of the most visited websites in the world. Anyone can view presentations and media on topics that interest them, download them and reuse or remix for their own work. Learn more about SlideShare for HootSuite. edocr provides a highly interactive environment for publishing and distributing an organization’s public documents across the Internet. Whether you’re a small-to-medium business, a multinational enterprise, or an educational institute – conveniently share marketing, operational and reporting documents. The edocr app for HootSuite allows you to search, upload, view, comment and share across your social networks. Find what content is rising to the top on Facebook, helping marketers understand what works on the social network. Using an engagement algorithm, Zuum delivers a feed of content proven to be exceptionally engaging in social media. With the Zuum app for HootSuite, find top trending and highly talked about content from a variety of categories and easily share to your Facebook page. We’d like to extend a huge thank you to the developers who were involved in these integrations: Min Li, who developed the Instagram app, Cazoomi, who developed both the SlideShare and edocr apps, and Zuum who helped bring their tool to the App Directory. 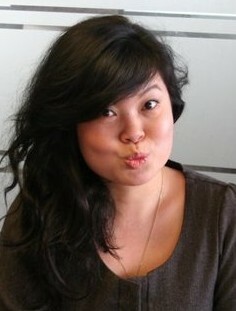 Are you a developer or company wanting to work with the HootSuite team? Learn how you can integrate your app using the App Directory SDK. Need help installing apps? Check out our SlideShare hosted App Directory Guide. HootSuite strives to integrate the best features of your favorite tools, adapting the dashboard to your needs and the ever-changing world of social media. So let us know what works, what you’d like to see changed and what you’d like to see next by chiming in on our App Directory Feedback Forum. Your input matters deeply to us and shapes our product roadmap. 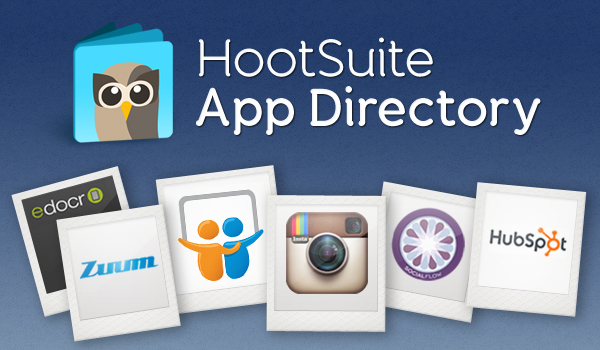 You can learn about the latest updates and tips for the App Directory by following @HootSuite_Apps.